[toc]Cold is a very common health problem that everyone has faced. Children and old aged people can catch cold easily as compared to adults, but even adults have to face the cold. The symptoms of cold are running nose, headache, and irritation in throat, cough and sometimes fever. The main cause of cold is a virus that can spread from one person to other, even handshake with affected person can cause you cold. Its virus can easily spread in the atmosphere and cause cold. No particular medicine is available for cold but some medicines can give you relief from headache, cough or other symptoms. Our body’s immune system can recover from cold normally in one or two weeks. Home remedies can also prove out to be very effective in cold. There are many home remedies available for cold relief. As its name indicates it is a tea in which ginger slices are added. We all know the importance of ginger in our day to day life. Ginger can be used in almost all minor infections. 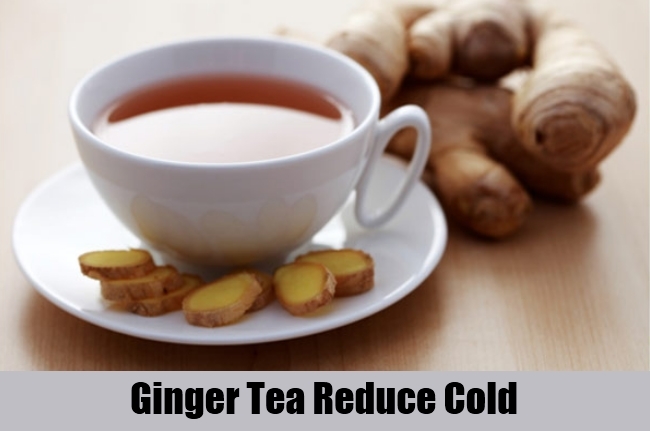 Cold is itself caused by virus and the antiviral properties of ginger make it useful for cold relief too. Tea is also a wonderful home remedy that consists of anti fungal, anti viral and antibacterial properties. For using this add some ginger while making tea and then just drink it, you can repeat this 3-4 times a day to get relief from cold. Turmeric is another common household product that can be used in many types of viral, fungal, bacterial infections. Turmeric is also used for skin smoothness and cleansing. Many medicinal value properties of turmeric made it an ideal remedy for various use. Many combination of turmeric with other home products can be used for cold relief. Some of them are turmeric with hot milk, turmeric with tea and ginger, turmeric with tulsi and many more. You can even make soup using turmeric with hot water, sugar, tulsi and ginger. Tamarind can be used as a home remedy too, in many parts of India tamarind is used as an add-on to increase taste. Tamarind is also available in many parts of the world. Cold is caused due to a virus and any home product that have an anti viral property can be used as a cold relief home remedy. Tamarind can be used either directly with salt and black pepper or by boiling it and adding some salt and pepper to make soup. By drinking it 3-4 times a day gives relief from cold. From ancient times it is being used in various household purposes and as a home remedy. Tulsi leaves have many wonderful properties that make it a suitable home remedy, the high medicinal value of tulsi can be used in cold & cough, sour throat and even in skin infections. For cold relief, take some leaves of tulsi and pour it in warm water add some salt, you can also add lemon or ginger in the liquid. Drink it for 2-3 times a day and then surely you will feel better. Mint is another wonderful home remedy for various uses, it is considered very effective in case of cold. Mint is also used against heat strokes during summer. It has antibacterial, antifungal, antiviral, anti allergic and analgesic properties that makes it an effective home remedy. You can take mint by boiling its leaves in hot water and adding salt or pepper. This liquid can be taken 2-3 times a day for cold relief.